Golf Stretching Exercises for Seniors - Live Long Golf Long! Despite your youthful face and your sense of style, you have to admit it’s harder than it used to be to walk the course and play a round of golf. Aging is a part of life, but that doesn’t mean it has to come with slowness and discomfort. You can certainly still enjoy the fun activities you have always done, and golf is no exception. Flexibility is something that we have to work on harder as we age. To reach those toes and take off your shoes, for example, takes more effort and will often need a helpful tool like a shoehorn. You need to make sure you spend a little time each day stretching to help you stay loose enough to swing that club the way you want to. Endurance is a struggle, especially when we remember being able to play multiple rounds of golf in a row without becoming tired. Your games might be few but that makes them more precious and valuable. You have the ability to maximize your fitness while golfing if you follow some of the tips in this blog. Should I wear back brace while I golf? Sit in a chair so that both your feet are resting flat on the floor. Swish your feet at the same time to the left, hold the pose, and then bring them to the right, and repeat. We move from the domestic chair to the equipment with which all golfers are familiar: the driver. Lift your driver over your back, and position it just behind your neck. Take hold of each end of it and turn at the waist to the right, then back to center, and then the the left. This is a great exercise to loosen up those back muscles which are most likely to be pulled when you swing at a ball. 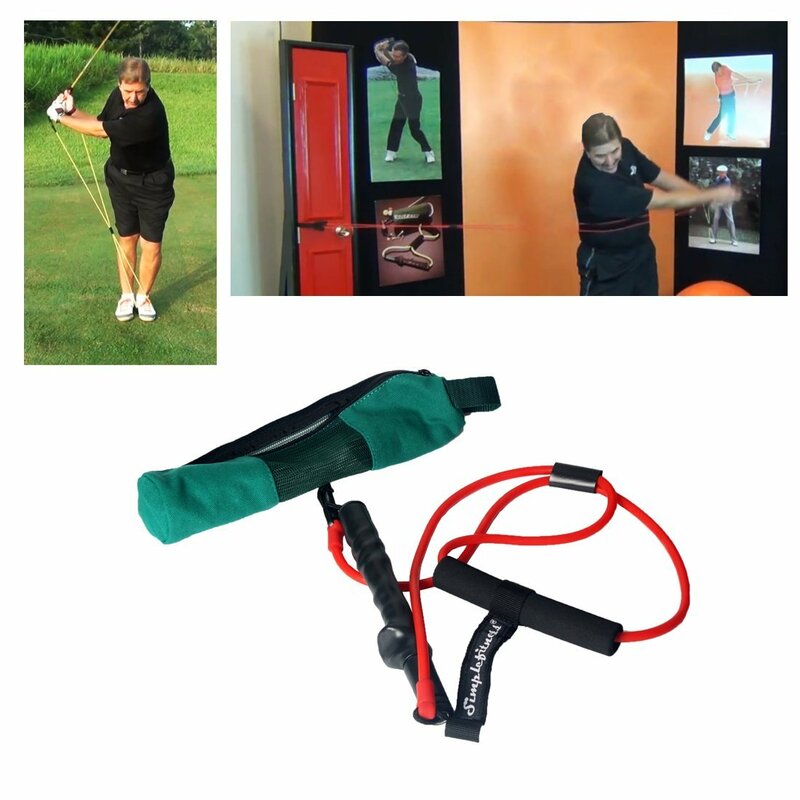 If you don't want to give up golf because of back pain or discomfort you really need to consider one of these. There are many happy customers that said this brace is the best they ever used. As we age it becomes more and more difficult to keep our posture, and good posture is essential in golf. Combine one of these with these simple extension exercises and you are sure to improve your game and feel better too. No matter what your age, keeping your ticker happy is a good thing, every day. We don’t want you to overdo it, but make sure you get some good, consistent activity each day that will get the heart pumping. ​Not able to walk the whole course with your bag? Begin with placing your bag in the cart and walking to meet your friends up ahead. You can stop at any time and ride in the cart because the idea is to work up to walking the entire course while carrying your clubs. As always, be aware of your comfort level, and never do anything that is causing you pain or undue exhaustion. A great tip to make the walk more comfortable and pain free is to use these awesome massaging insoles, I swear by them. . You won’t stiffen up and will have less strain on your muscles at the end of the day when you head for a great day at home. Hip pain is common in golfers, as in golf, the hips are everything. This exercise will help loosen up the hips, and it’s pretty easy to do. Lie on your side with your arms resting comfortably. Tense up your abdomen to keep your balance as you lift your leg up and rotate your foot in little circles. Switch legs by turning on your other side, and do another set of circles. Make sure to give the stability job to your core and not to your shoulders and neck. Nobody wants to sit out of the rest of the season because of a wrenched back. You need to stay loose and stretch those swinging muscles to avoid strains and pain Exercises that imitate this motion are a great way to train those muscles. This exercise is fitness and stretching at the same time. Tie one end of an exercise golf band to a doorknob and while sitting in a chair or standing by the door, grasp the band with both hands. 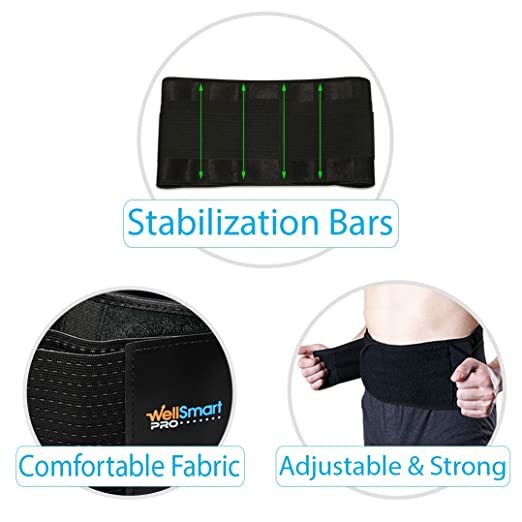 Pull the band across your chest to the other side of your body and hold, then control your hands as you bring the band back to its original position. Turn around and stretch your arms to the other side. Do 5 to 10 reps per side. Don’t worry about form here, we’re using both hands separately! Go to an area with a lot of space around you, and practice swinging your golf club with one hand, and then the other. This helps to strengthen and loosen up your arms, helps you keep your balance, work your core, and increases flexibility all over. You know how you see baseball players warm up by swinging a bat? The bat they are using is likely a weighted bat. This exercise follows a similar principle. Swing the Original Orange Whip! This will help tone your muscles as well as increase your club speed and focus on how you swing the club. Remember to keep relaxed to develop more speed. Yes, yoga is recommended for seniors, but did you know that there are poses recommended for senior golfers? The following list of poses can help you limber up for a round of golf. Yoga: Rather than make this guide longer, here is a list of the different yoga positions recommended for senior golfers, and within each point are links for learning how to perform each of the poses. The chair pose: doing this pose will help strengthen your legs and improve your balance as it targets your ankles. Watch how to do this pose. The cat and cow poses will work out your shoulders and back. Here is how to do the cat pose and the cow pose. The simple, seated spinal twist helps create a greater range of motion in your back and shoulders, so important for your golf swing. Read instructions on how to do it. The warrior pose hits many points important to strengthen for golf: arms, legs, ankles and core, and like the spinal twist will improve your range of motion. Read how to do it. Winter’s coming and so your golf games may be on hold for a while. Whether you are a fair-weather golfer or a tough winter golf warrior, these exercises can help you stay feeling like a young golfer again, year-round!